It’s expensive to be a female consumer thanks to the pink tax. Applied to everyday items that are marketed towards women, the tax means it costs on average 7% more for women to do their shopping for things like razors, dry cleaning and toys. In fact, women pay more 42% of the time. It is an issue which women all over the world face, and is only made worse by other inequalities such as the gender pay gap. To raise awareness of this important social issue, Burger King launched a highly disruptive, equality-advocating campaign, in which the packaging for their popular chicken fries was given a makeover for female customers only. 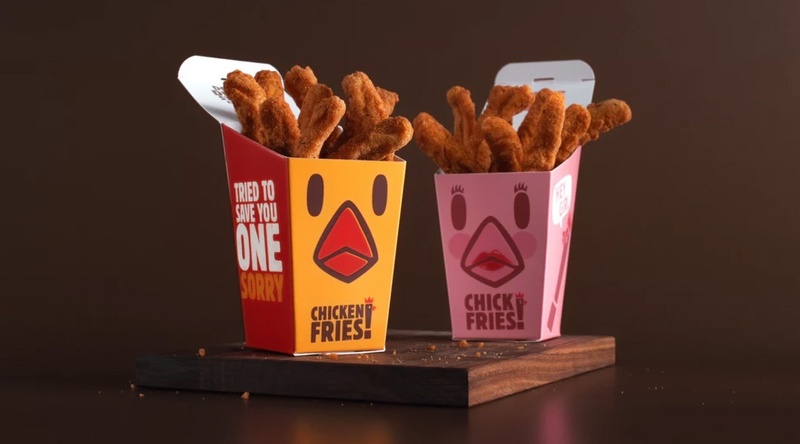 As part of a clever prank in one of their US restaurants, each time a woman ordered chicken fries, she was presented with a female version, ‘Chick Fries.’ The difference between these and the normal fries was a customised pink box, including eyelashes and a bow, and a whopping $2.39 price increase. Unsurprisingly, the unwitting customers were completely dismayed and showed their anger and confusion at getting such an unfair deal. The Burger King staff, who were in on the prank, kept straight faces and tried to persuade customers that the pink box was worth the extra money. They were met with customers changing their orders, refusing to pay, and one woman even emptied her fries on to her tray to avoid paying the difference. Hidden cameras capture the disagreements, showing an outraged mother preventing her daughter from handing over money and a perplexed boyfriend laughing in disbelief as his girlfriend argued. Eventually, irritated customers are presented with a provocative question: when you go into the drugstore and pay $2 more for your razor blades, do you say something then? The question clearly resonates, as customers are interviewed after the experience and each one of them agrees that men and women should pay the same, regardless of the packaging. This is another great example of a disruptive experiential marketing campaign from Burger King that really gets people thinking; in the past we have also seen Burger King take a stand against bullying and educate consumers with a flaming frustrating stunt about net neutrality.